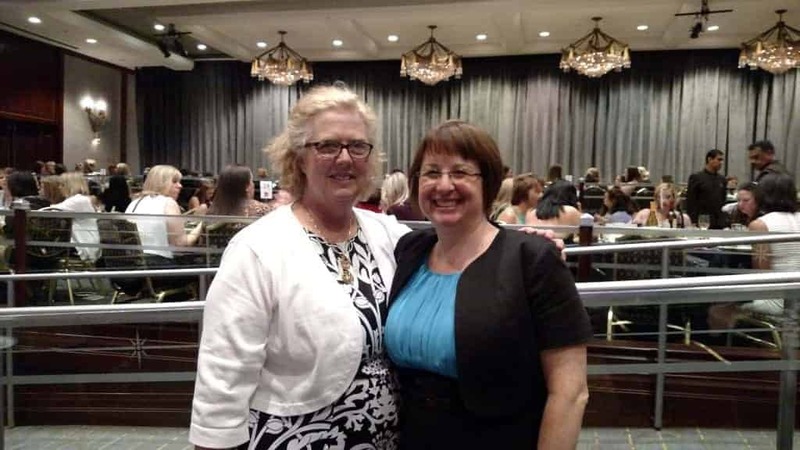 Jan Lutz, CAC Chapter director from Indiana and Amy Roberts CAC Chapter director from Ohio met up in Los Angeles for a Junior League leadership conference. Junior Leagues have been instrumental in partnering with others in their communities to develop Children Advocacy Centers. Both the Junior Leagues of South Bend and Fort Wayne, Indiana were founding partners of their community’s CACS.